← What You Can Do To Prevent Food Poisoning at Home? If your elderly loved ones are experiencing long-term tiredness, they might have been going through fatigue. According to Mayo Clinic experts, fatigue is a nearly constant state of exhaustion that develops over time and reduces your vitality, enthusiasm, and attention. Fatigue reduces your physical and emotional capabilities to do daily activities encouragingly. But there are a lot of reasons that may be some could not have been part of the list leaving you to wonder why you or your elderly loved ones are still tired even if they already had a good night sleep? Brighton Cornerstone Healthcare, a reliable provider of home health care in East North Street Madisonville KY, sees the concern that most of the reasons could be something that your elderly loved ones have been doing all the while but does not realize these are the actual reasons why they experience fatigue. Now, you will learn more on the energy-draining activities that your elderly loved ones might not know yet. Seniors spend most of their time every single day living a sedentary lifestyle. Sitting in one position for longer periods can discourage your energy to be released and can cause sleepiness. Wonder why sitting in class the whole was so tiresome? Solution: Get your elderly loved ones to go out and do regular exercises. 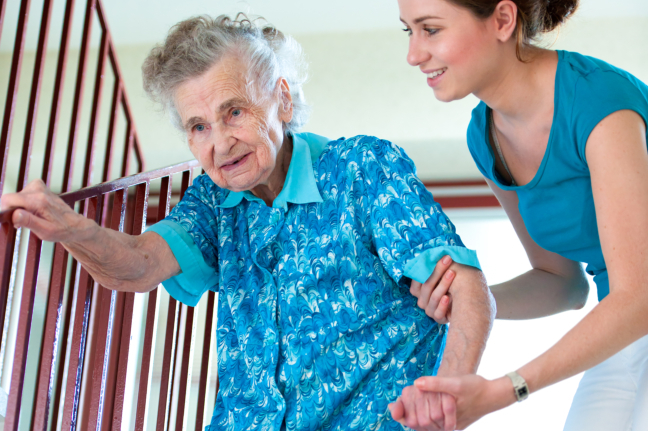 If you are not sure on the exercises your elderly loved ones should have, be sure to get professional help like getting assistance from a trusted provider of home health care in East North Street Madisonville KY for an accurate and age-appropriate exercise for them. The more you slouch, the more your muscles have to work to compensate the body, the more you lose energy. This is why people with poor posture often lead to sluggishness and fatigue. Seniors often slouch either due to age-related conditions such as osteoporosis and other bone problems. Solution: Help them practice good posture for most of the time like when sitting and even when standing up. Practice sparingly like for instance, try practicing good posture for 10 minutes each day in one week, then increase it to 15 minutes, then to 20 minutes. Seniors may go through crash diets for their medical conditions; however, as aforementioned, it is better if you do it sparingly. Crash diets are not good for the body because it is used to a certain amount of food and if it does not get what it is used to, then hunger, fatigue, and other health problems might occur. Solution: It would be best to plan their diet with a nutritionist or dietician. Consulting with a specialist can help you and your elderly loved ones develop a good nutritional development to avoid crash diets. You should also consult the diet plan to their primary care doctors to check if there are any medications that would interact negatively. Too much worrying can cause different health problems which include fatigue. We believe this is very much true for any age group. If you worry so much about what stuff you are going to do for the day or about something in particular, it can make the brain get really exhausted and eventually losing control over the supposed priorities of the muscles. Solution: Develop a recreational plan for your elderly loved ones to help reduce the worrying factor. Also, if they are actually worried over something in particular like for instance, a family matter or situation, try to console them with soothing words and other distractions. One faulty factor of having sugar in their diet is that it can cause fatigue especially when it can increase the blood glucose level in their body. Having too much can consume the fluids in their body. Without enough water, physiological processes would not be able to function properly. Solution: Regulate sugar content in their diet. And again, it is best to ask your nutritionist or dietician regarding meal matters. Ask your doctor if their medications contain sugar content. There are still more factors involved with fatigue in the elderly! Call Brighton Cornerstone Healthcare, a dependable provider of home health care in East North Street Madisonville KY, today! This entry was posted in Health Care and tagged nursing care, personal care. Bookmark the permalink.